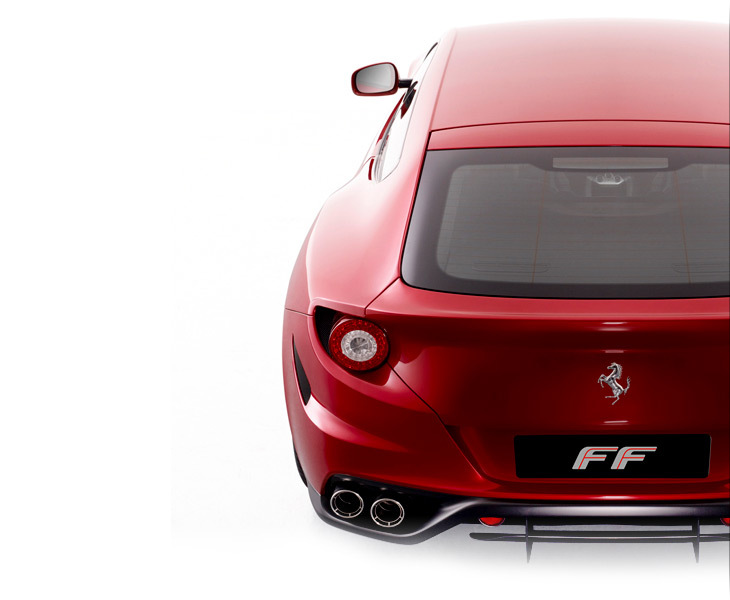 This article is about the new Ferrari FF, the first official production car of the company featuring all wheel drive. Four-wheel drive contrary to general belief isn't something new to Ferrari, it was studied a long time ago and now it is time to apply this technology to production. The design of the FF is controversial, it follows the current trend established by Pininfarina and it features a spacious rear end. We also investigate a Ferrari patent on four wheel drive that most possibly describes the system used in the FF and finally we make a theoretical comparison between that system applied to the FF and the closest conceptually production car, the Nissan GT-R.